"When we first started working with Jon, we were quickly impressed by his work ethic and the fact that he actually seemed to care about finding us a condo that we'd love...not just making a sale. We were not even living in Chicago at the time we purchased our condo from Jon, and because of our previously negative experiences with brokers we were very anxious about the whole process, but Jon's relaxed, confident demeanor quickly put us at ease. There were several days we saw 10-12 condos and Jon's ability to schedule all of these showings was quite impressive. Several things separate Jon from previous brokers we have worked with including his ability to thoroughly research a property and clearly present the information he has gathered. His approach is organized and comprehensive, but he manages to do this without the pressure one often feels from salespeople. Jon's passion for his job is also a breath of fresh air, especially at a time when many brokers are burned out and frustrated, often seemingly just going through the motions. Jon walked us through every step of the process in buying our River North condo, and did it in a way that made us feel both comfortable and confident that we were getting a great deal. We are now happily sitting in our beautiful condo looking East toward Trump Tower...appreciative of Jon for all his hard work...Thanks Jon!" Jon Gerstein is one of the top real estate agents at @properties. A sales veteran with over 15 years of experience, Jon joined @properties in 2008. Thanks to his follow through and attention to detail, he has developed lasting and trusted relationships with his clients, as well as the negotiation skills he prides himself on. A graduate of Colgate University, Jon currently resides in the Lincoln Square neighborhood. 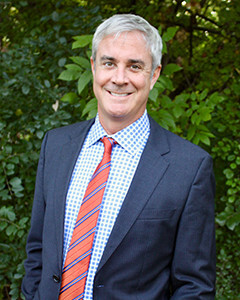 As a Chicago native, Jon has lived in several other Chicago neighborhoods including Lakeview and West Town and has a broad base of knowledge of the city and its amenities. Jon is well-traveled and speaks four languages (English, Spanish, Hebrew, and Brazilian Portuguese). "We needed to sell for the highest possible price we could get in the shortest amount of time. Jon sold our condo in 8 days at 97 percent of the full list price. In today's market, that is quite a feat. Jon is thorough, patient, and he is a tough negotiator. He helped us navigate through hefty obstacles with ease. He understands the market and stood firmly on our behalf through the whole process. Not only is Jon a very talented Realtor, but he is also a very kind and compassionate person and I'm honored to know him." "I was thinking about selling my condo and I noticed an @properties for-sale sign in my neighborhood with Jon's name on it, and I decided to see if we would be a good fit. After spending five minutes with him I knew I would be in good hands, and my intuition proved more than correct. From the day I listed my place with Jon to the day of closing (which was a shorter period of time than I ever could have hoped for), he was accessible, forthright, knowledgeable, and friendly. I truly felt that he had my best interests in mind the whole time, and trusting his judgment completely took a huge weight off my shoulders. I can't stop singing his praises to anyone who will listen! I will never use anyone else and without hesitation will be advising friends, family, and coworkers to do the same." "As a first time buyer I was not very familiar with the process and somewhat skeptical of working with an agent. I initially approached Jon and met with him to view a number of properties. I also met with several other agents to get a feel for the process and to find someone that I felt comfortable working with. Jon's attention to detail, professionalism, and real estate expertise put me at ease. Jon is very organized and does not try to pressure his clients. I endorse Jon without reservation." "Being a first-time home buyer, I appreciated that Jon took the time to make sure I understood every part of the purchasing process. I felt like I could ask even the most obvious questions with ease and get an honest answer. He made what, at first, seemed like a daunting process very manageable, clear and exciting." "I loved working with Jon during the home buying process because I could tell that his passion for finding the 'perfect place' equaled my own as the buyer." "Jon Gerstein is a full-service realtor, and we ran to him when we were ready to purchase our second home with him after our family grew. What makes Jon special is his ability to make you feel as though you are his only client, and through the process of buying our home, he's now become a friend. Jon is conscientious and direct - he represents you as a client, and will give you his direct impression of how things are progressing - both good and bad. That honesty gives you confidence you're making the right decision for your family. I give Jon the highest regard possible in terms of recommendation. We worked on buying a rehabbed home with him, and he researched everything possible to help us make the right decisions with negotiations. He also has trusted partners in the mortgage and legal side, which is a big advantage. With Jon, I never felt like it was a business decision, he worked with us on every decision, and it felt like he was part of our family." The design of this website and its contents are protected by copyright and any unauthorised reproduction, whether in whole or in part, is prohibited.